An alarming trend in reading instruction has spread throughout our educational system: the omission of literature. More and more teachers are focusing on skills-based instruction without going the crucial extra mile to include high-quality reading content, although studies show that children's literacy development requires frequent encounters with engaging creative expression throughout the school day. Now, finding the perfect material just got a lot simpler. 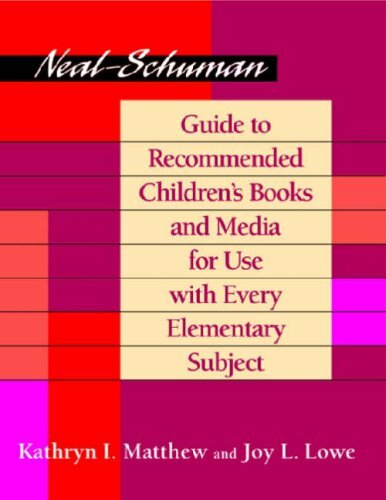 This exhaustive resource, the first of its kind, recommends hundreds of books, videos, CD-ROMs, and other media that librarians, kids, and teachers will love. The recommended titles are listed underneath established national curriculum standards in each major subject area. 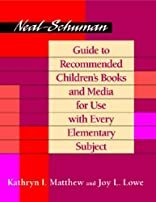 Bring science, art, health, math, music, language arts, sports, and social studies more dynamically alive in your classroom with the most esteemed and enjoyable books and media available through 2001. The authors also present innumerable ways to include solid reading, writing, discussion, and interaction into more conventional class work on every school subject. Go that extra mile with Lowe and Matthew and make your teaching extraordinary.